THE MATERIALS, INFORMATION AND OPINIONS INCLUDED AND/OR EXPRESSED IN OR ON BULLETIN BOARDS, CHAT ROOMS, COMMUNITY PAGES OR OTHER FORUMS ON THIS SITE ("FORUMS") ARE NOT NECESSARILY THOSE OF FOTO VISURA OR ITS AFFILIATED OR RELATED ENTITIES OR CONTENT PROVIDERS. FOTO VISURA DOES NOT UNDERTAKE TO MONITOR OR REVIEW FORUMS (ALTHOUGH IT RETAINS THE RIGHT TO DO SO), AND THE CONTENT OF FORUMS IS NOT THE RESPONSIBILITY OF FOTO VISURA. FOTO VISURA MAY REMOVE OR MODIFY ANY CONTENT WITHOUT NOTICE OR LIABILITY AT ANY TIME IN ITS SOLE DISCRETION. ANY USE OF THE FORUMS WILL BE AT YOUR OWN RISK AND WILL BE SUBJECT TO THE DISCLAIMERS AND LIMITATIONS ON LIABILITY SET OUT ABOVE. Visura's Site enables only those persons or entities who own or are otherwise validly authorized to license Photos (the "Content Owner") to post such Photos on the Site. The Site and all photos, text, video, code and other content and materials on the Site and the selection and arrangement thereof (collectively, the "Site Materials") are the property of Visura or its licensors or users and are protected by United States and international copyright laws FOR THE SOLE USE OF DISPLAYING ON THE FOTOVISURA.COM SITE OR EMBEDDING FROM THE FOTO VISURA SITE. NOTWITHSTANDING THE FOREGOING, FOTO VISURA DOES NOT RETAIN THE RIGHT TO USE IMAGES UPLOADED TO OR DISPLAYED ON THE SITE (EXCLUDING THOSE CREATED BY OR OTHERWISE COPYRIGHTED TO FOTO VISURA OR ITS PARTNERS) FOR ANY USE INCLUDING COMMERCIAL OR PROMOTIONAL, OUTSIDE OF THE FOTOVISURA.COM SITE, WITHOUT PRIOR WRITTEN CONSENT FROM THE COPYRIGHT HOLDER. 6. any use of the Site or the Site Materials other than for their intended purposes. Any use of the Site or of any Site Materials other than as specifically authorized herein, without the express prior written permission of Visura or the Content Owner, is strictly prohibited and will terminate and constitute a breach of the license granted herein. In accordance with the Digital Millennium Copyright Act and other applicable law, Visura has adopted a policy of terminating, in appropriate circumstances and at Visura's sole discretion, account holders who are deemed to be repeat copyright infringers. Visura may also, at its sole discretion, limit access to the Site and/or terminate any account holders who infringe any intellectual property rights of others, whether or not there is any repeat infringement. "Visura", the Visura logo, the look and feel of the Site, and any other Product or Service names, logos or slogans of Visura contained in the Site are trademarks or other protected intellectual property of Visura (collectively, the "Visura Marks") and may not be copied, imitated or used without the prior written permission of Visura. All other trademarks, registered trademarks, product names and company names or logos mentioned in the Site are the property of their respective owners. You may create a text hyperlink to the Site, provided such link does not portray Visura or any of its Products or Services in a false, misleading, derogatory or otherwise defamatory manner This limited right may be revoked by Visura at any time. Further, you may not frame the Site without Visura's express written consent. Visura makes no representation regarding, and accepts no responsibility for, the quality, content, nature or reliability of third-party Web sites accessible by hyperlink from the Site, or Web sites linking to the Site. Visura provides these links to you only as a convenience, and the inclusion of any link does not imply affiliation or endorsement of any site or any information contained therein. When you leave the Site, you should be aware that our terms and policies no longer govern. 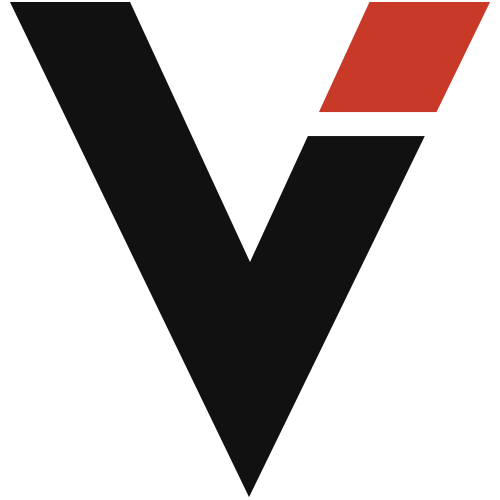 Visura may host third party content on the Site ("Third Party Content"). Such inclusion does not imply affiliation, endorsement, approval, or control by Visura of any Third Party Content. Visura makes no claim or representation regarding, and accepts no responsibility for, such Third Party Content or for the quality, accuracy, nature, ownership or reliability thereof. Users use such Third Party Content at their own full risk. All postings on the Site are subject to our obligations to all third party providers as well. Visura subscribers (on their own sites) or Visura (on public areas of the Site) may run advertisements and promotions from third parties on the Site or facilitate the sale of certain products or services by third parties through the Site. Your business dealings or interactions with such third parties, and any terms, conditions, warranties or representations associated with such dealings, are solely between you and such third party, and Visura does not endorse, approve, or control any such products, services, advertising or promotions. Visura is not responsible or liable for any loss or damage of any sort incurred as the result of any such dealings or as the result of the presence of such advertisers or third party products and services on the Site. 8. Includes programs which contain viruses, worms and/or 'Trojan horses' or any other computer code, files or programs designed to interrupt, destroy or limit the functionality of any computer software or hardware or telecommunications; disrupts the normal flow of dialogue, causes a screen to scroll faster than other users are able to type, or otherwise act in a way which affects the ability of other people to engage in real time activities via the Site; amounts to a 'pyramid' or similar scheme; amounts to 'data warehousing' (i.e., using any web space made available to you as storage for large files which are only linked from other sites). You must provide a reasonable amount of content to accompany such material in order that at least some of the traffic to your site comes directly via us. 9. User Content that, in the sole judgment of Visura, is objectionable, harmful or which restricts or inhibits any other person from using or enjoying the Site, or which may expose Visura or its users to any harm or liability of any nature. In addition, you are prohibited from removing any sponsorship banners or other material inserted by Visura anywhere on this Site (e.g., on any web space made available for your use). Although Visura has no obligation to screen, edit or monitor any of the User Content posted on the Site, Visura reserves the right, and has absolute discretion, to remove, screen or edit any User Content posted or stored on the Site at any time and for any reason without notice. You are solely responsible for creating backup copies of and replacing any User Content you post or store on the Site at your sole cost and expense. You retain the copyright in any User Content you post on the Site. Visura neither has nor wants any ownership of your Content. However, by uploading and/or posting any User Content to the Site, you grant Visura a perpetual, nonexclusive and royalty-free right to use the User Content and the name that is submitted in connection with such User Content, as is reasonably necessary to display the User Content, provide the Services and to facilitate, at Content Owner's direction, the license of Photos or the sale of Products on the Site. You understand and acknowledge that any User Content contained in public postings, including any galleries that are not designated as private or password protected, will be accessible to the public and could be accessed, indexed, archived, linked to and republished by others including, without limitation, appearing on other web sites and in search engine results. Therefore, you should be careful about the nature of the User Content you post. Visura will not be responsible or liable for any third party access to or use of the User Content you post. Visura provides many security options and settings for your content and you should read and understand them all. In order to create an account, you must be 18 years of age or older. By registering, you represent and warrant that you are over 18 and that all information you provide in the registration form ("Registration Data") is complete and accurate. Visura reserves the right to refuse service to anyone at any time, with or without cause in its sole discretion. You agree to keep your registered email addresses and other Registration Data current and complete, as Visura may send important notices about your account or the Services to that email account. You are solely responsible for maintaining the confidentiality of the password associated with your account and for restricting access to your password and to your computer while logged into the Site. You agree to accept responsibility for all activities that occur under your account or from your computer. We endeavor to use reasonable security measures to protect against unauthorized access to your account and to any User Content you designate as unlisted, hidden or password-protected. We cannot, however, guarantee absolute security of your account, your User Content or the personal information we collect, and we cannot promise that our security measures will prevent third-party "hackers" from illegally accessing the Site or its contents. You agree to immediately notify Visura of any unauthorized use or your account or password, or any other breach of security, and to accept all risks of unauthorized access to the Registration Data and any other information you provide to Visura. THE SITE, THE SITE MATERIALS, THE PRODUCTS AND THE SERVICES ARE PROVIDED ON AN "AS IS" AND "AS AVAILABLE" BASIS WITHOUT WARRANTIES OF ANY KIND, EXPRESS OR IMPLIED. TO THE FULL EXTENT PERMISSIBLE BY APPLICABLE LAW, FOTO VISURA DISCLAIMS ALL OTHER WARRANTIES, EXPRESS OR IMPLIED, INCLUDING, WITHOUT LIMITATION, IMPLIED WARRANTIES OF MERCHANTABILITY, FITNESS FOR A PARTICULAR PURPOSE, TITLE AND NONINFRINGEMENT AS TO THE SITE, THE SITE MATERIALS, THE PRODUCTS AND THE SERVICES. FOTO VISURA DOES NOT REPRESENT OR WARRANT THAT THE SITE MATERIALS OR THE SERVICES ARE ACCURATE, COMPLETE, RELIABLE, CURRENT OR ERROR-FREE OR THAT THE SITE, ITS SERVERS OR EMAIL SENT FROM FOTO VISURA OR THE SITE ARE FREE OF VIRUSES, TROJAN HORSES OR OTHER HARMFUL COMPONENTS. FOTO VISURA IS NOT RESPONSIBLE FOR TYPOGRAPHICAL ERRORS OR OMISSIONS RELATING TO PRICING, TEXT OR PHOTOGRAPHY. FOTO VISURA ALSO MAKES NO REPRESENTATION OR WARRANTY REGARDING THE AVAILABILITY, RELIABILITY OR SECURITY OF THE SITE AND SHALL NOT BE LIABLE FOR ANY UNAUTHORIZED ACCESS TO OR ANY MODIFICATION, SUSPENSION, UNAVAILABILITY, OR DISCONTINUANCE OF THE SITE OR THE PRODUCTS OR SERVICES PROVIDED THEREON. IN NO EVENT SHALL FOTO VISURA OR ITS DIRECTORS, MEMBERS, EMPLOYEES OR AGENTS BE LIABLE FOR ANY DIRECT, SPECIAL, INDIRECT OR CONSEQUENTIAL DAMAGES, OR ANY OTHER DAMAGES OF ANY KIND, INCLUDING, BUT NOT LIMITED TO, LOSS OF USE, LOSS OF PROFITS OR LOSS OF DATA, WHETHER IN AN ACTION IN CONTRACT, TORT OR OTHERWISE, ARISING OUT OF OR IN ANY WAY CONNECTED WITH THE USE OF OR INABILITY TO USE OR VIEW THE SITE, THE SERVICES, THE PRODUCTS, THE CONTENT OR THE SITE MATERIALS CONTAINED IN OR ACCESSED THROUGH THE SITE, INCLUDING ANY DAMAGES CAUSED BY OR RESULTING FROM YOUR RELIANCE ON ANY INFORMATION OBTAINED FROM FOTO VISURA, OR THAT RESULT FROM MISTAKES, OMISSIONS, INTERRUPTIONS, DELETION OF FILES OR EMAIL, ERRORS, DEFECTS, VIRUSES, TROJAN HORSES,DELAYS IN OPERATION OR TRANSMISSION OR ANY TERMINATION, SUSPENSION OR OTHER FAILURE OF PERFORMANCE, WHETHER OR NOT RESULTING FROM ACTS OF GOD, COMMUNICATIONS FAILURE, THEFT, DESTRUCTION OR UNAUTHORIZED ACCESS TO FOTO VISURA's RECORDS, PROGRAMS OR SERVICES. IN NO EVENT SHALL THE AGGREGATE LIABILITY OF FOTO VISURA, WHETHER IN CONTRACT, WARRANTY, TORT (INCLUDING NEGLIGENCE, WHETHER ACTIVE, PASSIVE OR IMPUTEDAND OF WHATEVER DEGREE OR LEVEL), PRODUCT LIABILITY, STRICT LIABILITY OR OTHER THEORY, ARISING OUT OF OR RELATING TO THE USE OF OR INABILITY TO USE THE SITE, THE SERVICES, THE PRODUCTS, THE CONTENT OR THE SITE MATERIALS, EXCEED ANY COMPENSATION YOU PAY, IF ANY, TO FOTO VISURA FOR ACCESS TO OR USE OF THE SITE OR THE SERVICES OR FOR THE PURCHASE OF PRODUCTS. If you believe that any content appearing on this Site infringes your copyright rights, we at Visura want to hear from you. Please forward the following information in writing to the Copyright Agent at the address listed below. Visura seeks to preserve any and all exemptions from liability that may be available under the copyright law, but does not necessarily stipulate that it is a “service provider” as defined in USC Section 512(c) or elsewhere. The Hosting Services will only be available to users (a) who register for a free trial or for a subscription to the Hosting Services ("Subscription") and (b) who pay in full the Subscription fees ("Subscription Fees") applicable to the level of Subscription you select (the "Subscription Plan"). Visura currently accepts VISA, MasterCard, Discover and American Express credit cards. The various Subscription Plans Visura offers and the services, features and Subscription Fees applicable to such Subscription are available on the Site. By subscribing, you agree to pay all applicable Subscription Fees and other charges in accordance with the particular Subscription Plan you select. Please note that the foregoing does not apply to the termination of your account in accordance with Section B.4 below. When you first register with Visura, Visura enables "PRIME MEMBERS" to use the Hosting Services without charge for a 14 day period (a "Free Trial"). "BETA TESTING" not withstanding, all other accounts are required to pay upfront. Visura requires that you provide payment information when you first register. The Hosting Services are intended to be used by Visura account holders with PRIME and GUILD accounts for limited distribution of photos, videos as well. Visura, in its sole discretion, reserves the right to limit, suspend or terminate your use of the Hosting Services if Visura determines your use of the Hosting Services is a misuse of the Hosting Services. All Subscriptions are provided for a one (1) year term, WHICH TERM WILL AUTOMATICALLY RENEW EACH TERM UNLESS THE SUBSCRIPTION IS TERMINATED AND/OR CANCELLED BY YOU OR FOTO VISURA PRIOR TO THE END OF SUCH TERM IN ACCORDANCE WITH SECTION B.4 BELOW. Upon such renewal, the credit card designated on your account will be billed the applicable Subscription Fee then in effect at the time of renewal. If you notify Visura (via the Settings accessible from your Visura profile page) that you wish to upgrade to a higher subscription level, then the credit card designated on your account will be billed for the difference in price, prorated for the remainder of your term. Visura reserves the right at any time, in its sole discretion and without notice, to suspend, modify, discontinue or permanently cancel the Hosting Services, or portions thereof; and the Subscriptions and Subscription Plans, including making changes to any policies, features and terms applicable thereto. If the Hosting Services, or any part thereof, to which you subscribe are permanently discontinued or canceled by Visura, your Subscription will terminate, and we will have no further liability to you. In addition, there may be occasions when the Hosting Services are interrupted such as for maintenance, upgrades, system or equipment failure or otherwise. Visura WILL HAVE NO LIABILITY TO YOU FOR ANY INTERRUPTION, SUSPENSION, DISCONTINUANCE OR UNAVAILABILITY OF THE HOSTING SERVICES FOR ANY REASON OR AT ANY TIME, OR FOR ANY LOSS OF OR INABILITY TO ACCESS ANY PHOTOS OR OTHER MEDIA OR MATERIALS STORED ON THE SITE. YOU ARE SOLELY RESPONSIBLE FOR MAKING AND SAFEKEEPING, BACKUP COPIES OF PHOTOS OR OTHER MEDIA OR MATERIALS YOU POST TO THE SITE. You may request termination of a Subscription at any time by creating a Cancellation Request (Settings > Subscription), or by sending an email to support@Visura.co that provides clear written notice of such request, including the "account name" you provided to Visura at the time you ordered your Subscription. When Visura receives your termination request, Visura will terminate your Subscription if it has the necessary information to do so. Visura will notify you of termination via email. Visura may request additional information from you prior to terminating your Subscription(s). A Subscription is not terminated in this manner until you receive confirmation of termination from Visura. All Subscription Fees are nonrefundable, and upon termination, cancellation or discontinuation of a Subscription for any reason, you will not receive a refund for any Subscription Fees or other amounts previously charged to you, or for any unused portion of any Subscription. Upon termination, any User Content you have stored on the Site may no longer be retrieved, so you should make a backup copy of any such User Content on a regular basis and before terminating your account. You may change your email or the credit card information for your account by using the Subscription Page or by sending an email to info@visura.co that provides clear written notice of the requested change, including the "nickname" currently associated with your Visura Subscription. If the credit card designated on your account is invalid and cannot be billed for the renewal Subscription Fee, then Visura may terminate your account for nonpayment. If Visura does not have a current, working email address, then you may not receive important notices from us regarding your account, which may include notices regarding termination. If your account is terminated and Visura cannot reach you due to an invalid email address or for any other reason, then Visura will (subject to Section B.4) endeavor to retain your User Content on the Site for at least 30 days after termination. However, Visura cannot guarantee that your User Content will remain on the Site after termination or that you will receive notice of such termination, so you should make a backup copy of any such User Content on a regular basis. "Commercial Use License" means a licensing type in which the licensee is entitled to use the Photos subject to the commercial use license. "Personal Use License" means a licensing type in which the licensee is entitled to use the Photos subject to the personal use license. "Property Release" means a written release from the owner and/or occupier of any property that is depicted in whole or in part in any Photo.